I find myself procrastinating rather than working on finishing our Montessori nursery. It's more difficult this time as we know we will be moving once the baby is three to four months old. So I'm not only looking for fresh ideas and inspiration but I'm also trying to find some motivation. Here are a few Montessori infant spaces that I've been enjoying! A lot of people don't fix the mirror to the wall, if the baby isn't moving I guess there is no need. This room has a few simple materials and lots of space for the child to work comfortably on the floor - a nice big movement area. 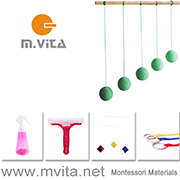 "It can be easy to over-complicate the Montessori philosophy. 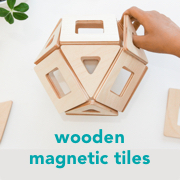 Trusting that the core of Montessori is simplicity & order is the key to unlocking the prepared environment and creating a space that allows for optimal development." This is what I need to hear! This account is by a Montessori consultant for 0-3 years! This is just so soft and welcoming! Loving the simplicity and order. No need to overfill those shelves. This is a gorgeous Montessori bedroom in Brisbane (Australia)! Looking so comfortable and cozy. This room is by a former Montessori teacher. I love to see how teachers create Montessori environments at home! Love the wall colour and the black and white artwork. That's a topponcino you can see on the little floor bed. Taking a close look at the materials on these shelves and the low handing art work! Large movement area with mirrors and a pull up bar. It's the colour and art work that sets this room apart!